Open the doors to a life with more opportunities, better earnings and more purchasing power by going West. Here are 5 compelling reasons why Perth is more attractive to GPs than Sydney. According to Payscale, General Practitioners in Sydney earn 11% less than the national Australian average. Perth based GPs on the other hand earn 10% more than the national average. Our 2018 GP Salary Survey has shown that the national annual average salary of a GP working 33-38 hours per week is $229,125 (gross). 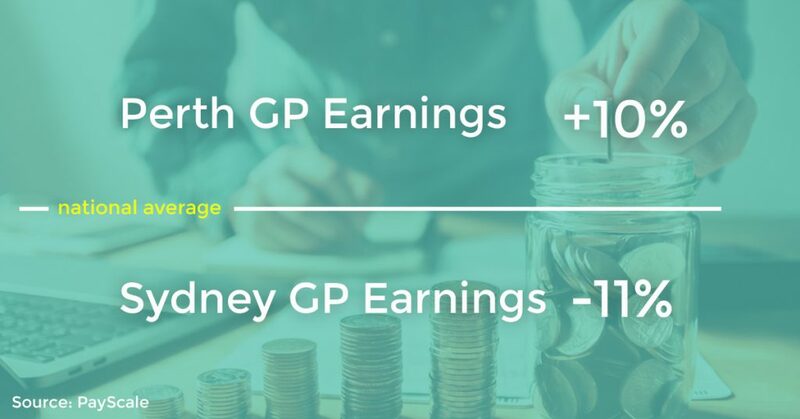 What’s interesting is that statistics from Seek have found that salary growth for GPs in Sydney is -12% whereas Perth’s salary growth rate was at 5%. Sydney’s decline is most likely to do with an ever growing oversupply of GP job positions. It’s no secret that the Sydney market has been, and despite of the recent decline, still is overpriced. Median Perth house prices are 50.56% cheaper than in Sydney and apartments are 52.76% cheaper in Perth. A study from Budget Direct found that local purchasing power in Sydney is 9.28% lower compared to Perth. These stats are based on the average net salary (after tax) and take into consideration utility prices, transport, groceries, eating out, alcohol, clothing and leisure. Direct, non-stop flights now operate between Perth and London and the flight time is roughly 17 hours. Non-stop flights to Bali take as little as 3 hours 15 minutes and cost as little as A$120 (one way) – a great weekend away! Flights from Perth to London cost on guestimate about A$359 less than from Australia’s East Coast cities and a return flight can cost as little as A$960. Perth’s weather is in many ways like Sydney, but less humid and with more sunshine. Western Australia is the state with the country’s best weather and clearest skies. According to Bureau of Meteorology data, Perth is the sunniest State capital with an annual average of 8.8 hours of sunshine a day – This is higher than any other major Australian city. Sydney averages 7.2 hours of sunshine a day. Perth summers can be very hot – 30-40 degrees C and sometimes. On these hot days we welcome the ‘Fremantle Doctor’, a frequent westerly breeze, that helps cool you down. Even in winter, on most days the Perth weather sits at a comfortable 16-20 degrees C during the day, allowing you to walk around in shorts and a t-shirt. Sydney has received many accolades for being the world’s best city. But big city life also has its downside. It’s crowded and bears notorious traffic jams. Due to the city’s size, it’s more impersonal and life tends to be fast paced which has an impact on the overall stress level in the population. In contrast, Perth is known to be more relaxed and laid back. People have a friendly attitude, they are independent and have a resilient outlook on life. Perth has a much higher demand for GPs compared to Sydney and therefore GPs enjoy better earnings. 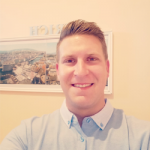 If you’re not from Perth and lack intricate knowledge about the GP landscape, it can be incredibly difficult to find a practice that ticks all your boxes. Have you considered visiting Perth to get a feel for the market over here? Let us know as we can show you around and advise you on all questions you might have. Alecto Australia has a high standard of practices we consider working with. This is to uphold our reputation and promise of connecting the best GPs with the best practices. Please get in touch if you would like us to find a perfect practice match for you. DWS replacement available at established practice near Hillarys WA!